William Gibbons of Little Sutton married Agnes Harman. This was in or about 1490, when Agnes’s brother John Harman’s career was just beginning - by 1519 when Harman became Bishop of Exeter he was a rich and powerful man, and had changed his name to John Vesey. Bishop Vesey was able to obtain New Hall from the King and give it to his brother-in-law Gibbons as a late dowry for Agnes. In 1528 Sutton Coldfield received its town charter establishing the Warden and Society as its governing body, and naming William Gibbons of Little Sutton and New Hall as the first Warden. Agnes, who died in 1520, had five children; the three girls married well thanks to generous dowries from their uncle the Bishop, while John went into the Church and became Chancellor of the See of Exeter. John died in 1537, so it was the younger son Thomas Gibbons who inherited New Hall on the death of his father in 1543. Thomas Gibbons amassed considerable wealth and property by his own efforts and by marriage, first to Eleanor Arden, an Oxfordshire heiress, and after her death to Elizabeth Pierpoint of London. He had five sons, one by his first wife and four by his second, and a settlement drawn up in 1566 showing who was to inherit what shows the extent of his property. He left New Hall to his eldest son Thomas, along with the Manor of Wigginshill and land in Kingsbury, Minworth, Curdworth, Water Orton, Austrey, Bromyham and Warwick. This Thomas had married Sybil Lisle of Moxhull, and the 1566 settlement gave her land and water mills in Kingsbury. The next son, Charles, was to have the Oxfordshire property at Ditchley, while the third son William would have the manor of Whitchurch, just south of Stratford, which his father had purchased in 1551. Lands and mills at Chipping Norton were left to Edmund, and John, who was a lawyer practising in London, would have the wharves and pike gardens at Southwark. Charles, the second son, died shortly after, so a revised settlement provided for William to have Ditchley and Whitchurch to be sold. Thomas died in 1575, but the property not go according to plan because the revision was deemed to be invalid - Thomas junior, as the eldest son, inherited Ditchley as well as New Hall, while William had the proceeds of the sale of Whitchurch but no property. For a time William lived at Ditchley, paying an annual rent of £10 to his brother Thomas, while Thomas lived at New Hall; in 1582 “Thomas Gibbons of New Hall Esquire”, purchased Sutton town watermill. A few years later Thomas was living at a house in Sutton called The Hollies left to him by his father, and he sold New Hall to his brother William for £1,000 - William died in 1593. 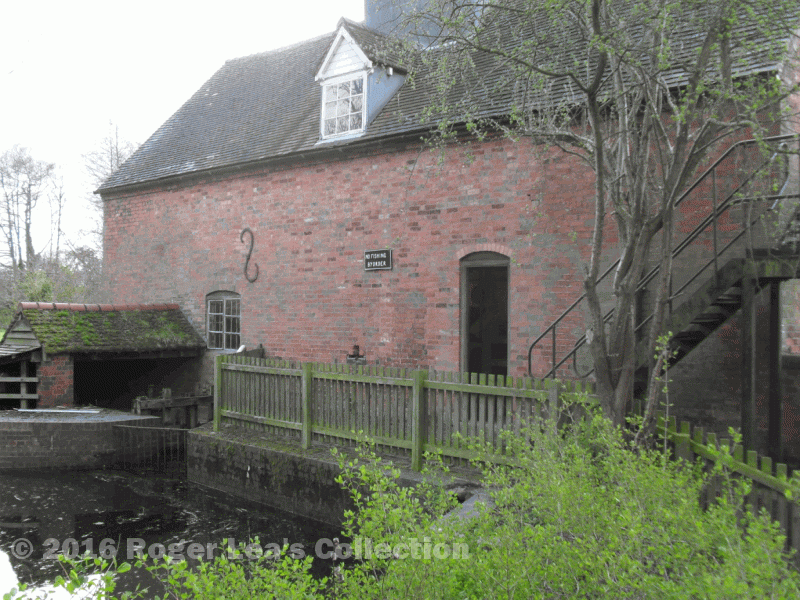 Big improvements were made to New Hall and the New Hall Estate in the Elizabethan period, including the establishment of New Hall water mill. New Hall Mill, which will be open to the public on 9th September. Gibbons of New Hall built it, but was it Thomas the father, Thomas the son, or William?